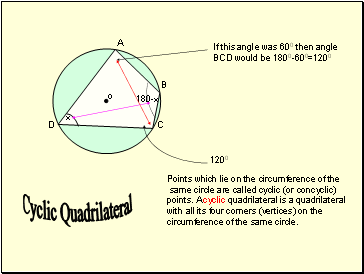 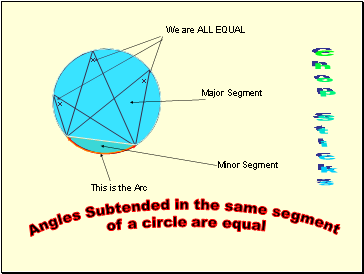 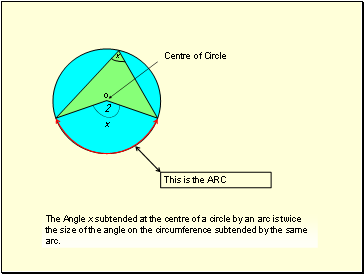 The Angle x subtended at the centre of a circle by an arc is twice the size of the angle on the circumference subtended by the same arc. 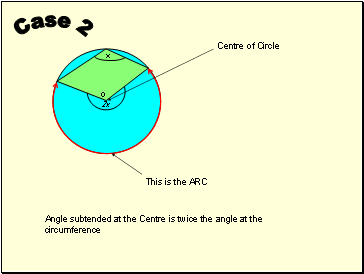 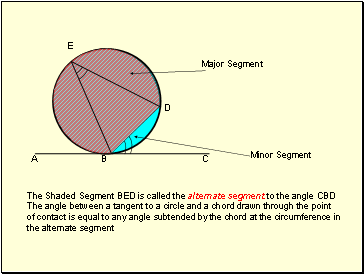 circumference of the same circle. 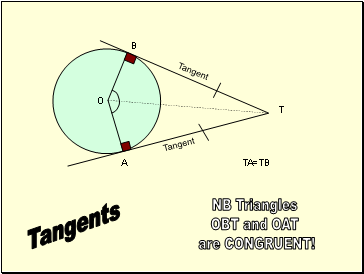 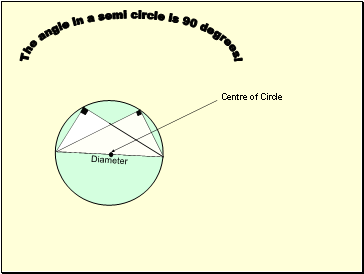 The angle in a semi circle is 90 degrees!